IridiumLive! 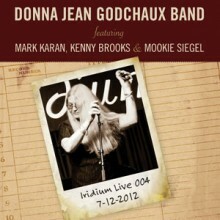 is a new audiophile label devoted to exclusive live recordings captured at Manhattan music destination The Iridium. Deemed “hallowed ground” by legendary guitarist Steve Miller, The Iridium may be known best as The Home of Les Paul, who performed there weekly for more than 12 years until his passing in 2009. http://iridiumlive.com/about/ http://iridiumlive.com/about/ http://iridiumlive.com/about/ http://iridiumlive.com/about/ http://iridiumlive.com/about/ http://iridiumlive.com/about/Today, the club embraces its dual heritage as a jazz landmark and a “guitar shrine” (New York Times), with eclectic bookings and one-of-a-kind collaborations. The Les Paul Trio continues on in their late bandleader’s honor every Monday night, showcasing the diversity of the electric guitar with world-class special guests that have included Jeff Beck, Mick Taylor, Zakk Wylde, Nels Cline, and Robert Randolph among others.